I used to love this when I was a kid: I remember picking out the pasta and the smell of the soup as it simmered away on the stove. 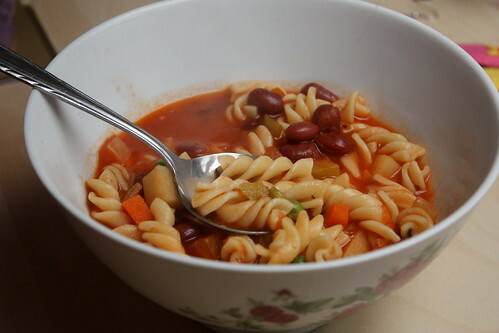 You can add all sorts of things to minestrone, various beans and whatever vegetables and my mother used to add cocktail sausages, sliced about two centimetres in length. We chatted on the phone as I watched the pot simmering; "don't forget the tomato paste!" she exclaimed, when I listed the ingredients I had put in the pot and failed to mention it. Fry the onion and the celery in a little vegetable oil until both start to soften. Add the garlic, carrot and the potato, continue frying for a couple of minutes. Add the tomatoes, zucchini, a shake of oregano, and fry for two or three minutes before adding the tomato soup and the tomato paste. Stir, then cover. Leave to simmer for about twenty five minutes. In the meantime, cook the pasta in the usual manner. When everything in the soup pot is smelling delicious and looks just about done, add the peas and the kidney beans (drained). Simmer for four or five more minutes, then stir through the basil and the pasta and remove from heat. Leave to sit for five minutes. Serve with delicious bread, or on its own. I'm really happy with how these turned out. The Anti-Veg Brother-in-Law ate them, who knows if he actually enjoyed them but he claimed to, and even if he didn't D and I both really liked them. Finely chop the red onion, and dice the tomatoes. slowly fry about three quarters of the red onion, reserving the other quarter for another time. I generally use it to make a guacamole to accompany this dish. When the onions have softened, add the tomatoes, chili flakes, cumin and chili (which should be chopped). Simmer on medium-high for a minute or two, then reduce heat and put lid on and leave to simmer for about twenty minutes. The mixture should have reduced to a tomatoey liquid. You can blend it, but I like to leave it quite chunky. Peel and dice the sweet potatoes, and mince the garlic. Boil the two together until the sweet potato is soft and ready for mashing, at which point, drain and mash the sweet potato and the garlic together. 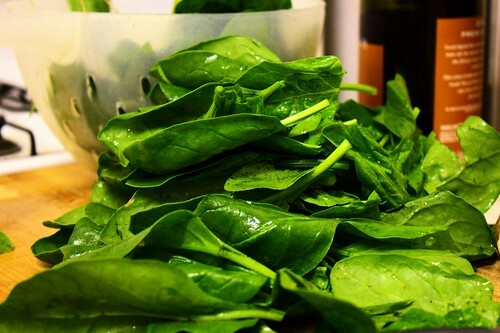 Shred the spinach, then wilt in a small amount of water with the lime juice. Drain the spinach, and add to the potato mixture. Spoon a scoop or two into each tortilla, or whatever seems to fit well, then roll and add to the pan. Repeat until you have used up all the mixture or all the enchiladas. Pour the tomato mixture over the enchiladas, make sure the mixture covers all of the exposed enchilada area. Bake at 220C for 20 minutes. 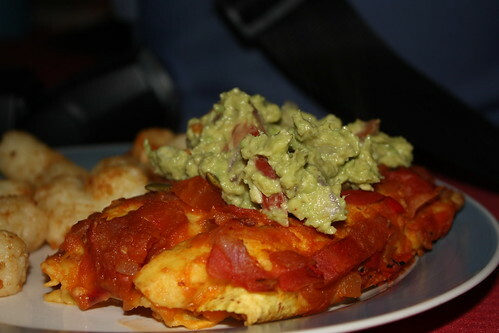 Top with guacamole. In this instance, I also served it with potato gems, because too much potato is never enough. NOTE: This is technically a gluten-free recipe except all of the corn tortillas I find always have wheat in them, so my 'gluten-free' tag in this instance is a question mark. Do corn tortillas with no wheat actually exist? Please let me know so I can tag accurately. My local IGA has recently started stocking Sweet Williams white chocolate. It's sweet and I liked it, but Davyd really liked it. I'm hoping it's okay to use in baking, I'd like to try it with a raspberry and white chocolate recipe. If you're new to the blog, I do actually do more than just bake, it just appears that these are the only recipes I've actually been making up. 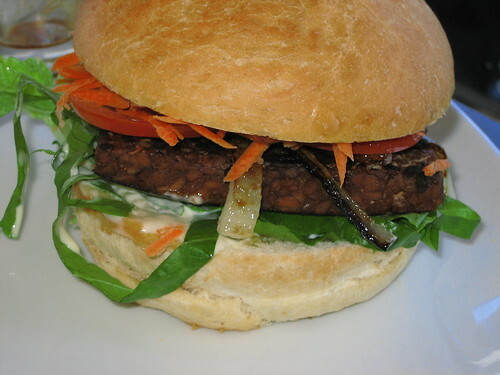 I will talk more about actual food soon - I've been using Veganomicon a bit, so that will be interesting to post about. I'm really pleased with these, they were soft and light and the icing was a bit yoghurty but worked quite well. Sift together the flour and baking powder, add the sugar and mix. Add in the vanilla essence, the nuttlex, applesauce and rice milk. Combine and stir in the lemon rind and lemon juice, until the batter is even. Shake in the poppy seeds and keep mixing, until you're happy with the amount. Divide into twelve cupcakes. Either use paper cupcake cups or grease the tray, otherwise the batter will stick. Bake for 15 minutes at 180C. I can't give proportions for the icing, I am afraid, in this particular instance I made it up as I went along but I did include about 2 teaspoons of lemon juice and 3/4 teaspoon of vanilla essence. 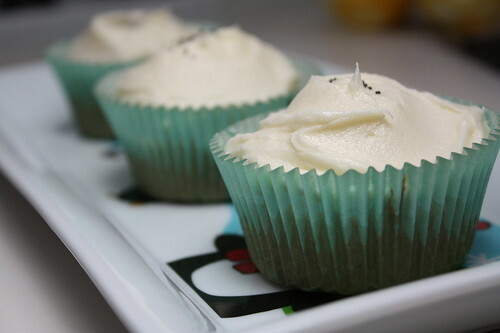 Sprinkle poppy seeds on the top afterwards, to make it look extra nice. This was our birthday present to our favourite future doctor, whose birthday is today. 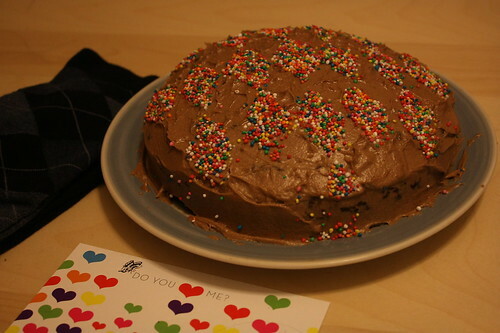 I baked the cake, and D kindly spent the time meticulously dropping the hundreds and thousands onto the icing. If this recipe sounds at all familiar, it's because it's based off the chocolate cupcake recipe which formed the basis of our wedding cupcakes. Sift the flour, baking powder and cocoa together, and mix in the sugar. Add in the vanilla essence, followed by the nuttlex and the apple sauce, and then slowly add the milk, mixing as you add, until a thick batter forms. Pour into a lightly greased baking pan. I recommend placing baking paper on the base, this batter can stick a bit to the pan. Bake for 40 minutes at 180C. Allow the cake to cool on a rack. Obviously, don't attempt to ice the cake whilst it's still warm! To make the icing, mix the icing sugar, cocoa, nuttlex and vanilla essence together. The nuttlex is easiest to work with if it is at room temperature. Mix until the mixture is smooth and consistent. Spread over the cake. To create the argyle pattern, D cut a diamond stencil out of baking paper, and gently laid it across the cake, carefully shaking the hundreds and thousands across it. Some friends of ours recently bought a house, so for their housewarming we bought them these awesome triangular plates. The plates on their own looked a bit boring, though, so we stacked them up and piled some cookies up on top. This recipe has been my favourite for years, one I borrowed from an old friend, who borrowed it from another. It is very simple and quick and delicious. I used to take it out of the oven and pick up a cookie and it was like molten cookie dough. Our friend Matthias dropped by once as I was taking a batch out of the oven, and between the three of us we ate that entire tray before it had a chance to cool. It required some modification when we went vegan, but I find that it is even tastier now, with the addition of banana to replace the egg. In a medium sized bowl, mix together the flour, baking soda, salt and chocolate chips. In a separate bowl, combine the nuttlex, banana, vanilla essence and sugar. Pour wet ingredients into dry, mix until well combined. 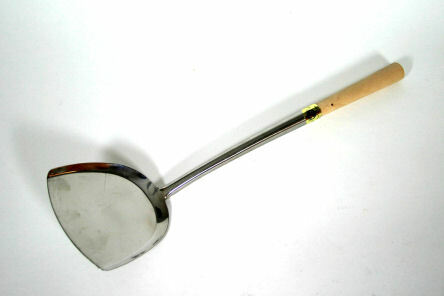 Use a teaspoon worth of mixture for each cookie - I find it easiest to scoop up each amount using a teaspoon, and softly push it onto the tray with another teaspoon. Bake at 190C for about ten minutes, then leave to stand in the oven for another two minutes, then take out of the oven. Leave to cool for five minutes, otherwise the cookies will drip through the cooling rack when you have transferred them there. They are tastiest when warm, though, with the molten chocolate in your mouth. This is one of those simple home foods that brings me such delight. It's great for breakfast and makes a really easy dinner, and you can usually just use up leftovers (rice and random vegies and things) and if you've got a bit of curry, that's great to go on the side, too. The secret to a good nasi goreng is a hot wok and a flat metal wok spatula (it looks like this) and everything being prepared and ready to go. Nothing worse than half your ingredients in the wok and realising you've left something on the bench, and you've forgotten to chop it. If you're using frozen peas, prepare them in advance by adding them to some warm water. This unfreezes them, it's essential that they're soft and warm-ish (or at least not frozen) when you're using them. Add a dash or three of oil (preferably peanut) to the wok. Swirl it around until the oil is thinly coating the wok base and sides. Add the carrots, fry until soft. Use the wok spatula to toss the carrots occasionally. After the carrots begin to soften, add the cabbage and a dash or two of water. This will allow the cabbage to steam slightly. 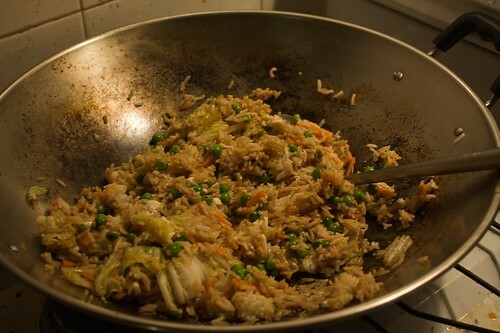 After the cabbage begins to wilt, and the water has evaporated, add the rice. Pour the soy into the rice, and break the rice up using the spatula. Drain the peas and add. Toss the rice into the other ingredients. Your rice will have clumped as it cooled or was stored, so you will have to press the clumps down with the underside of the spatula. Toss and press until the rice has taken in all of the soy. You may require more or less soy, depending on your taste and the amount of rice you have used. At the last, add the tofu, mix it in and let it break up. It gives a gooey sort of consistency, a bit like adding egg traditionally does, and is a great, though optional, addition to the nasi goreng. The tofu and the mixture of vegetables are just what you have handy, but are usually peas, carrots, Chinese cabbage and corn kernels, which I tend to omit because D dislikes them so. I was so excited when Malaysian Gourmet first opened, they made all my favourite comfort foods like laksa, kopitam, and char kuay teow. Then I went veg, and all those wonderful home foods were so close but so far, like taunting me. I can still get a good kuay teow, though, and a fantastic Singapore maifan, so all is not lost. 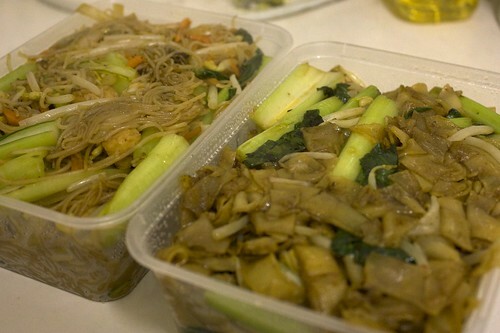 The beehoon was loose and sweet, and the kuay teow was char just right, just enough sauce and the choy sum just tender. Price was a bit of a shock, it's been at least six months since I was last there and it's now $8.00 a dish, but it's still so tasty. I really do hope I can find a random Malaysian place when we move, or I'll be venturing back here more often than I might otherwise. 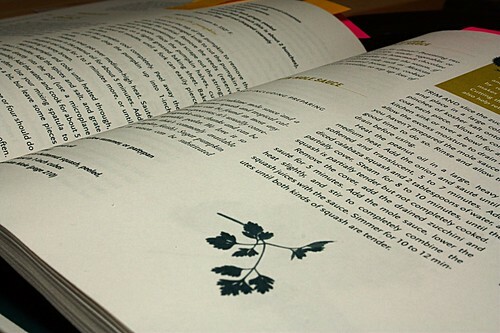 I get a strange level of excitement whenever D reaches for one of my cookbooks, and starts looking for things to cook. I’ve been completely overwhelmed with assignments this week, so D’s been doing the cooking to take up the slack, and although has some fantastic staples D’s been trying new things and it’s all very exciting. 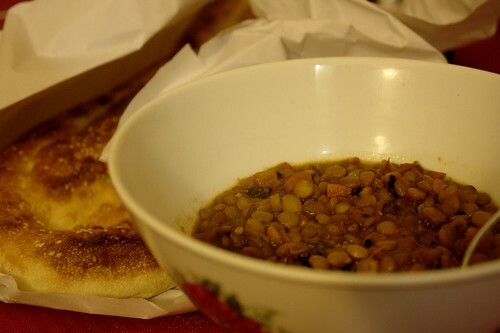 On Tuesday D cooked the French lentil and tarragon soup from Veganomicon. We didn’t have any French lentils so we subbed in brown lentils, and also managed to spill lentils all over the stovetop, which has made for interesting patterns. This was served with fresh Turkish bread from Ararat Kebabs, which I hope to review before we move but which makes very tasty falafel kebabs and pides. D complained that some extra water should have been added a little earlier in the process, and was put off by the very strong flavour, but I really enjoyed it and was happy to eat the rest for lunch the next day. Yesterday D cooked the pumpkin saag, also from Veganomicon. The pumpkin was soft and I really enjoyed the flavour of this, and that this was the recipe of choice demonstrates the way D's dedication to cooking outstrips mine – I would never have bothered roasting the pumpkin first, I probably would have just cheated and boiled it. The secret to my cooking is that I am very lazy, as much as I love it, and the associated mess. So Veganomicon is going well! That’s two cookies, now, and a handful of dinners, and I’m quite pleased, though I am still having some concerns (which will come later, when I give a proper book review). On the plane to Singapore, at 0200, we were served a meal that D could not identify. We remarked upon its tastiness, and I surmised that it was a nutloaf of some sort, though I had never before eaten one or seen one. On Saturday I tried to make one. Though it takes quite some time, it's all oven time, so I thought it would not be a problem. Alas, using a blender on the nut mixture proved problematic, as the nuts crushed down to form an almost solid wall of tiny pieces of cashew beneath the blades. Aside from this, and the frustration as we grew hungrier and hungrier and the delicious smell permeated the house, the nutloaf was tasty and it is an experience I would like to attempt again, though perhaps there is a better way to grind the nuts down. As my base recipe I used this nutloaf recipe by Ricki at Diet Dessert and Dogs. I only used about a quarter of a cup of coriander, and still I found the coriander flavour a little strong, and will probably omit it next time I try this recipe. I also found that the loaf didn't quite hold together straight out of the oven, though it held together fine when I was cutting it cold the next day, which makes me suspect I didn't leave it to cool long enough - but what can I say, we were very hungry. I only used cashews, no other sorts of nuts, and forgot the soy sauce. I also only used about half the amount of wine suggested. There are a whole lot of nutloaf recipes here, as Johanna at Green Gourmet Giraffe conveniently held a nutloaf challenge just recently. A number of them are not vegan, but they are all vegetarian and most of them seem easily modifiable. Some of them are even gluten-free! I look forward to giving more nutloafs a go, so far they've been tasty. Yesterday we had some leftover nutloaf, and some leftover dahl from mother's day, and as an experiment we combined the two and they were delicious. Burgers are such an easy, tasty option, but they can be rife with concerns. Will my burger have onions in it? Will they put beetroot in it? Critically, will it be served with chips? At home burgers have become a lazy meal, mostly because I've yet to perfect the art of patty making. This is convenient, as I'm stressed and busy and have little time for my usual one to two hour stints in the kitchen this week. For now we use the Pappa Nutal's chickpea patties, and they are delicious. I like to spread a thick layer of avocado across the bottom bun, and layer from biggest filling (patty) to smallest (grated carrot), and I love to watch it fall apart as I take that first bite. This is a really simple recipe for nachoes. I can't help you with the beer, I'm afraid. Fry the onion and all the herbs etc and the tomato sauce. The amounts are not specified because I just tend to go with what I'm feeling, usually a little more on the spicy things and a little less on the leafy things, but your tastes will vary, of course. I would recommend, however, no more than a shake or three of each. Fry the above for about ten minutes, or until the onion has become soft and translucent. Add the tomatoes and simmer for another ten minutes with the lid on, then add the kidney beans. Simmer with the lid off for five minutes. Serve on nachoes, topped with some sort of tasty guacamole. I like to use Matthias' guacamole recipe, located here, but halving the amount of red onion. Just a note that you should be careful buying the corn chips if you're making this recipe to be gluten-free, though of course you knew that. Sometimes, you have a little bit of leftovers, and you're just not sure what to do with them. And so you put it on toast. And eat it with baked beans. We were viewing an apartment in Highgate this afternoon, and took the opportunity to drop in to Source Foods for lunch. I've heard a fair bit about Source Foods, it being a cafe that tries to fit into the organic/sustainable kind of idea, and also being owned by the same person who owns the Sandcastle Organic (which, sadly, no longer does vegan meals). Anyway, we were both quite excited to finally have the opportunity to try Source Foods out. The interior is tiny, and it was full when we headed past on the way to the viewing, but by the time we had returned forty-five minutes later, it was almost empty and we got a table inside by the window. We could have watched the cars go by but I will be honest, we were more interested in the paper and discussing the properties we've got to view during the upcoming week. Though there was a bit of a wait after we ordered, about half an hour, it was worth it. 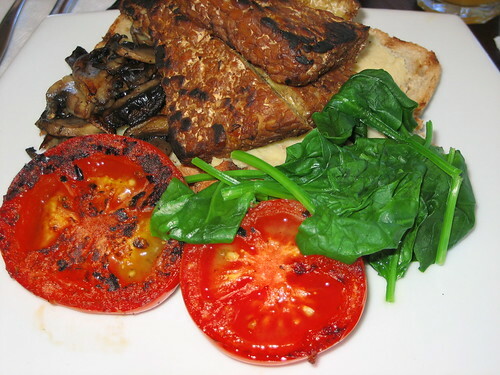 I ordered the "vegan heaven" breakfast, the tempeh was smoky and the hummus on the toast was fantastic. D's burger was allegedly excellent. The menu also features some tasty sounding gluten-free options, including nachoes, and they do a cashew rice noodle that I hope can be veganised. I look forward to finding out. Since returning from Singapore I've been going through an Indian curry sort of phase, which is handy as the weather has cooled rapidly and we're moving in to the end of Autumn. Fry shallot, coriander and cumin in a tiny amount of oil. Add potatoes, cover in mixture, and add star anise. Fry for a bit, add stock (enough to half cover potatoes), leave to simmer on low, covered, for ten minutes. After ten minutes, add peas, chilli powder and garam masala, add more stock or water if necessary. If you're using frozen peas, defrost by soaking in warm water for a couple of minutes first, then drain before adding to the pot. After five to ten minutes, remove from heat and leave to soak up stock. This dish takes about half an hour (or longer, if you're not so good at chopping). I heard of One World Cuisine some time ago when it first opened, but we didn't have a chance to visit until last weekend. I'd heard it was a cafe, and there might be vegan cakes involved, but it's clearly undergone a rebranding or change of purpose since then. The door advertises complimentary meals, and inside is a small buffet of noodles and rice and Chinese curries, and like Annalakshmi, one pays by donation. An overhead projector played movies about climate change and vegetarianism and suprememastertv, and I was mildly skeptical, but the food was tasty and it was a fun trip South of the river. The lack of vegan cakes was a disappointment, though. Baked two batches of cookies over the long weekend, as breaks from the essays I had to write. The first was sadly a failure, the anzacs were too crisp and did not hold together quite as well as I might have hoped, so I shan't post the recipe for them until success is at hand. 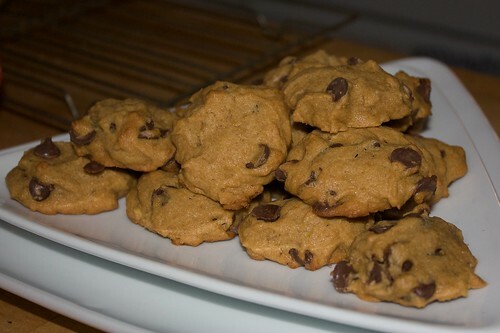 The second batch baked were the chocolate chip and walnut cookies from Veganomicon. I substituted nuttlex for the oil, and used slightly less vanilla, as I had read reviews beforehand that suggested an overpowering vanilla flavour. I also omitted the flax. I couldn't find my full cup measure, so I used what I thought was a half measure instead. It turned out, later, to be the one third measure, though aside from a slightly strong taste of vanilla essence, the batch worked out brilliantly. They were particularly delicious, and the next day they were chewy like eating cupcakes.